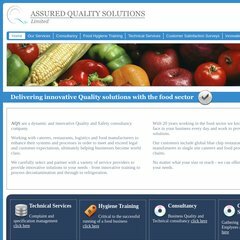 Topics: Consultancy, Food Hygiene Training, Technical Services, Customer Satisfaction Surveys, and Innovation. It is hosted by Atls-lb (England, Leeds,) using Microsoft-IIS/7 web server. ns2.123-reg.co.uk, and ns.123-reg.co.uk are its DNS Nameservers. The programming language environment is ASP.NET.